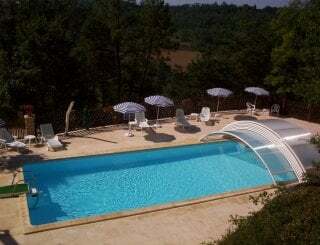 Malbernat, Cahors, France, sleeps 4-25 in 13 bedrooms. 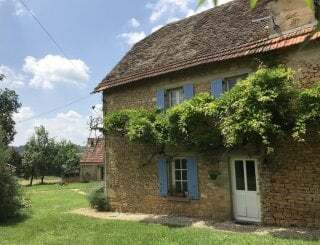 Along a quiet lane amidst fields and woodland, Malbernat is a wonderful conversion of an ancient farm to 3-holiday cottages, sleeping 6, 6 and 4 plus cots and a farm house sleeping 10. 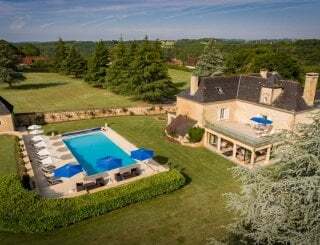 The cottages each have there own individual character within a courtyard setting, which leads to a sun terrace with 11m x 5m pool with diving board and a 4 person Jacuzzi by the steps and shallow end. Comfortable and well-equipped accommodation with terrace, BBQ and patio furniture. There is also table tennis, swings, a full size pool table, boules area and laundry room. The courtyard is a safe place for children to play, with gates to the swimming pool and to the parking area. There are mown fields for outdoor games such as badminton, netball and football for those energetic moments. The 11m x 5m pool is fenced to French regulations. 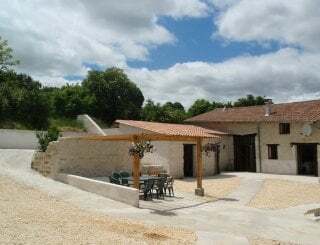 There is a sun terrace with tables and parasols for those al fresco evenings and group meals, also for morning croissants and coffee whilst watching the day start gently. 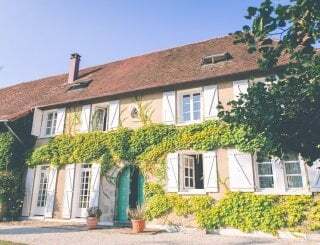 The Manoir house is a beautiful family home with pigeonnier tower, which overlooks the courtyard and has its own garden and fenced private pool. It has been lovingly restored, with all its features such as stone sink, walnut staircase running to all three floors and endless polished oak beams. 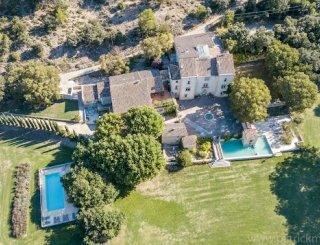 It is fully equipped to comfortably hold ten people in five large bedrooms, two of which are in the tower, all overlooking countryside. Two double bedrooms and three twin rooms with a bathroom with bath and glazed screen shower, WC and hand basin on the first floor, shower room on the second floor with WC and basin. Linen, duvets, blankets and pillows are provided. 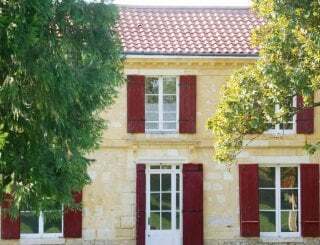 Wooded countryside, Frayssinet le Gelat is 1.5km- a gentle walk for those breakfast croissants from the bakers, village shop, restaurant and pizzeria.